To keep your baby from developing decay, you should avoid leaving any liquids with sugar sitting on the teeth for a duration of time. Among these liquids are milk, formula, fruit juice and other sweetened drinks. These sweet liquids can cause plaque, which then produces acids that attack the tooth. If you are giving your baby a bottle at bedtime, it should contain only water. After each feeding, including breastfeeding, wipe your baby’s gums and teeth with a soft, wet cloth to remove any residual milk. Children’s health, like adults, is best viewed as whole body function and wellness, drilling down to the underlying causes of problems and disease instead of just treating symptoms. Variety is the KEY to nutrition. Consistent exposure to a variety of foods really can work to get your kids to eat their fruits and vegetables! Foods that cause cavities tend to be the same calorie dense foods that can also cause weight problems and you are probably aware of them: highly processed foods such as candy, ice cream, white bread, white pasta, chips, pizza, cookies and soda. Food AND drinks that are high in calories without any nutritional value should be avoided. Childhood obesity is a problem in the US with 18.5% of kids between the ages of 2 -19 affected – over 13 million children! If a child becomes overweight or obese, they can be at risk for developing type 2 diabetes, sleep apnea, hypertension and other cardiovascular risk factors. Starting children off with a foundation of nutrient dense foods will GREATLY boost their chances for a healthy adulthood. 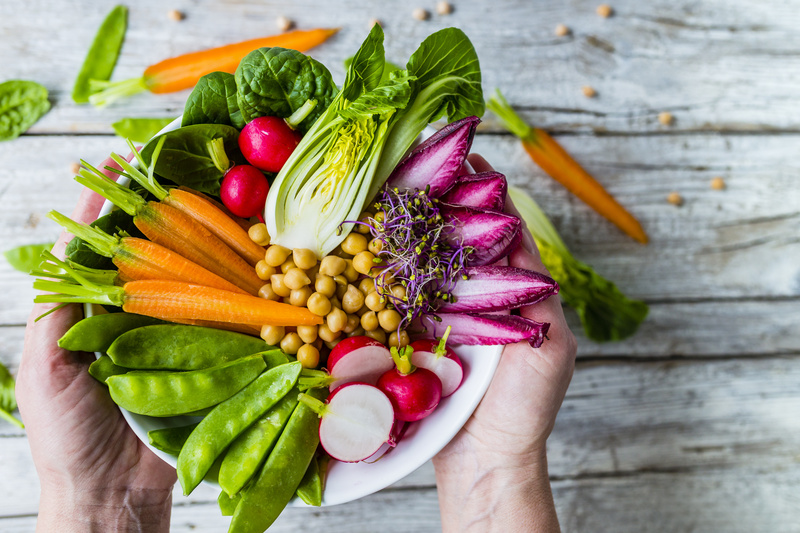 In place of sugary, calorie dense, and nutritional empty snacks – think french fries, chips, anything in a processed food box - substitute foods such as fresh fruit, nuts, and veggies and hummus, as these snacks increase saliva flow which helps neutralize acid. Don’t let your child eat continuously. It is best to have your child sit down and finish their snack in one sitting, while keeping snacks to a minimum of two times a day. After snacking, it is important to drink water to rinse of any sugar off the teeth. Brushing after any meal, including snacking, is recommended for both children and adults. 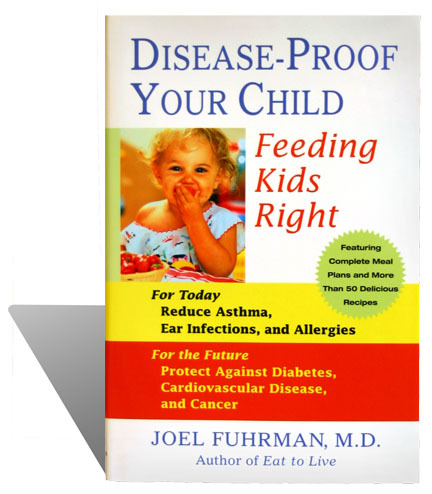 Dr. Trout highly recommends the book by Dr. Joel Fuhrman, M.D.’s “Disease Proof Your Child” available at Amazon. Dr. Fuhrman uses peer reviewed literature to examine how food and nutrition foundations set early on in a child’s life really do establish their likelihood of experiencing a disease later in their adulthood. If you are interested in how to implement this for your children, this is an amazing guide. Water consumption is important for all our body’s functions. Water plays a direct role in the production of saliva. Saliva is a protective mechanism of the body that contains minerals, which protect the teeth, and may aid in healing f rom damage caused by an acidic mouth. Saliva also contains digestive enzymes and is the beginning of the digestion process. 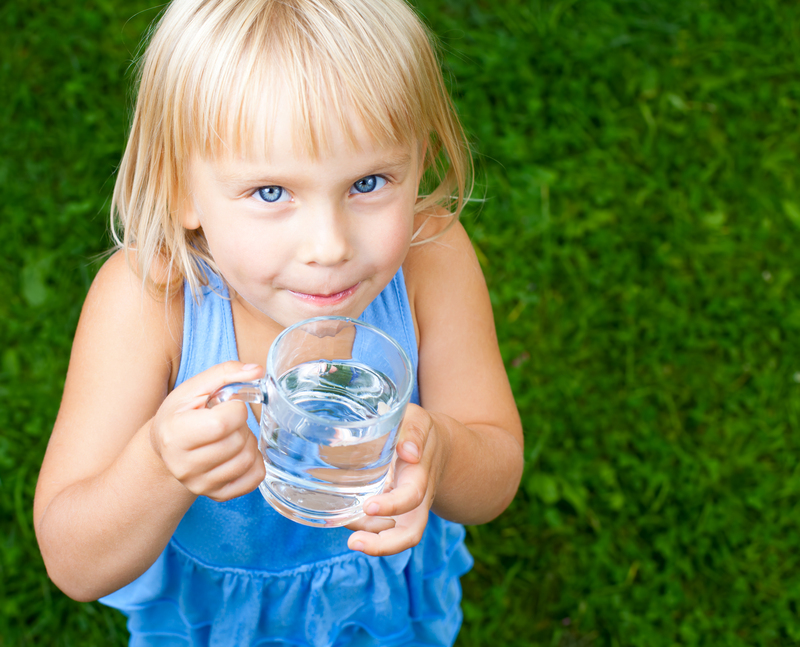 The adequate amount of water for kids is that of adults - half of their body weight in ounces a day. For example, a child that weighs 50 pounds should consume 25 ounces of water per day. For children that are highly active, play sports, or outside during periods of heat, they often will need more than this amount. If you are interested in more information regarding water and your health, one of Dr. Trout favorite reads on the topic is, “Your Body’s Many Cries for Water” by F. Batmanghelidj, M.D, available at Amazon and other bookstores and online retailers. As teens continue to grow, they are more likely to face dental challenges of adults. The habits created while children often bloom and can create either a healthy environment in the teen’s mouth or be the start of true problems. Helping your teenager understand that a healthy diet, regular exercise, stress management and consistent sleep are of vital importance can certainly be a challenge! For teenagers involved in sports, making sure they are using a mouthguard or a sportsguard is a must. (Really children involved in sports should be using a mouthguard at most ages!) Contact sports like boxing and football are a MUST when it comes to protecting your teen’s teeth. Even non-contact sports can result in the loss of a tooth or other dental injury – bitten tongue or lip – and a mouthguard should be considered for this as well. There are three types of mouthguards. 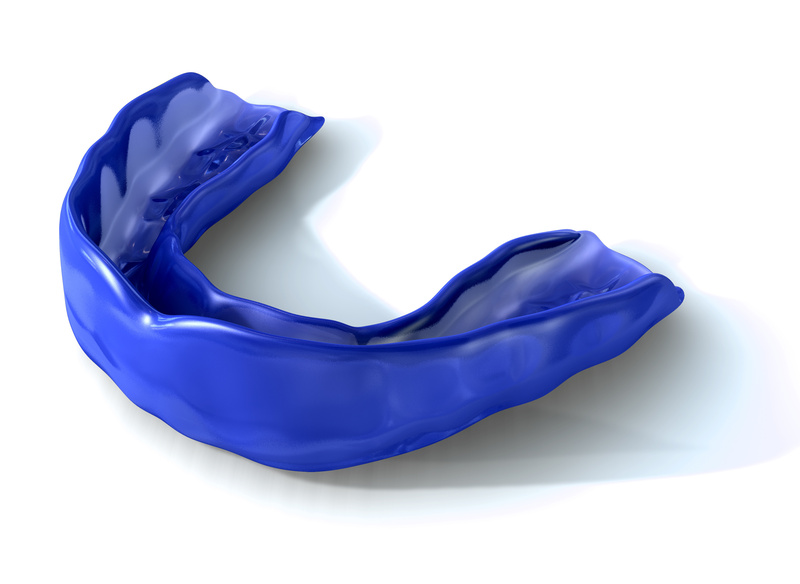 The best for most situations is a custom mouthguard that has been formulated specifically to fit in that particular mouth. While they tend to be the most expensive they also allow for the best fit, airflow and comfort. These can be purchased and fitted at Little Fish Dental. Boil and bite mouthguards can be purchased online or at many sporting good stores. The directions are as they sound; the mouthguard is softened in hot water – boiled – and then bitten on by the person that will wear it – bite. This forms it to the wearer’s mouth shape. Be sure to read and follow the manufacturer’s directions closely. Finally, the last form are stock mouthguards that come preformed and are not specifically fitted to a person’s mouth. These are often the least effective in terms of comfort, airflow and fit but certainly tend to be the least expensive of the group. Teens and younger children may also need to use a nightguard. This appliance protects the teeth of patients who grind or clench at night. The nightguard protects the teeth from grinding against each other while you sleep. There are certain factors that are associated with grinding, airway problems, untreated bite problems and stress. If gone untreated it may cause permanent damage to your jaw joints and teeth. Dr. Trout can exam your child and answer any questions you may have if your child is clenching or grinding their teeth while they sleep. An imbalance of oral bacteria causing a highly acidic environment often leads to bad breath. This can result from improper brushing and flossing, dehydration, highly processed & sugary foods, and a lack of nutrient dense foods – fruits, vegetables, nuts, seeds, and legumes. In many cases, a simple change in a teen’s personal oral hygiene habits can help. Little Fish Dental offers a treatment rinse to help solve this problem. Also, the addition of an oral probiotic, when used consistently, works to change the mouth’s pH level, creating an alkaline environment for the formation of the “good” bacteria that protect your teeth and helps keep your breath fresh. Bad breath may also be a symptom of a mouth breather, which can be corrected with myofunctional therapy and breathing retraining. For more on myofunctional therapy please read the information here. Tobacco products, including e-cigarettes and vapor pens, contain toxins that can cause various problems including different types of cancer, gum disease, bad breath, tooth discoloration, and a diminished sense of smell. If your teen is already using e-cigarettes or conventional cigarettes, it is never too late to help them quit and form a new, healthier habit. Oral piercings can have adverse effects on the health of the tongue, lips and cheeks. Oral problems can occur, such as swallowed/aspirated jewelry, speech impairment, fractured teeth and gingival recession.